"Belt and Road Initiative to provide immense opportunities to bring China and Azerbaijan closer"
Bilateral relations between Azerbaijan and China, from high-level political dialogue, economic and trade cooperation, to energy, education, culture and humanitarian spheres are developing, Hikmat Hajiyev, Head of the Foreign Affairs Department of the Presidential Administration of Azerbaijan told China Daily. "The Belt and Road Initiative proposed by President Xi Jinping in 2013 has touched the hearts of the Azerbaijani people, as the restoration of the ancient Silk Road is for the benefit of the entire world, and the development and prosperity of all countries," Hajiyev said. "The Belt and Road Initiative is not imposing anything on anyone, it just provides a framework for mutually beneficial cooperation," he added. The fundamental features of the Belt and Road Initiative are that every country knows how to develop in their own way. 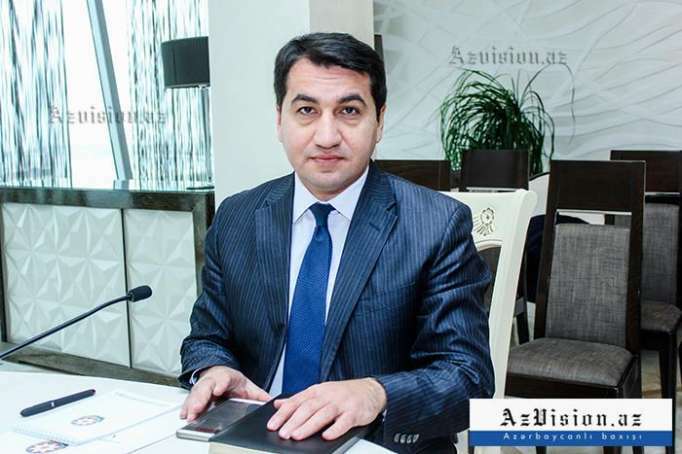 As China and Azerbaijan have a strong traditional friendship, Hajiyev believes the initiative will provide immense opportunities to bring China and Azerbaijan closer. He also highlighted education exchanges between the two countries, as China has sent students to study language in Azerbaijan and vice-versa. "We are looking forward to increase the number of (students) because we see they can play the role of a humanitarian bridge between our countries." "15,000 kilometers of land roads have been built in the past couple of years, and the country also constructed one of the biggest seaports in the Caspian Sea," Hajiyev said, adding all these are important pillars of the ancient Silk Road. Besides infrastructure construction such as transportation hubs, Azerbaijan is working on information communication technology lines to build a modern Silk Road. Companies from the two countries are engaged in projects for the petrochemical industry, and the two countries can touch upon other strategic areas such as energy and communication, the foreign affairs head added. Hajiyev also noted multilateralism should be further promoted in free trade. Good governance, trust, peace and cooperation should be promoted at an international level, he said.